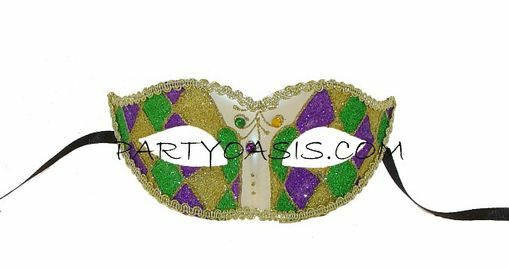 Made out of lightweight molded plastic, this venetian style mask is perfect for a masquerade themed event. Handpainted with a checkered design with jewel detail. Easy to wear with ties.